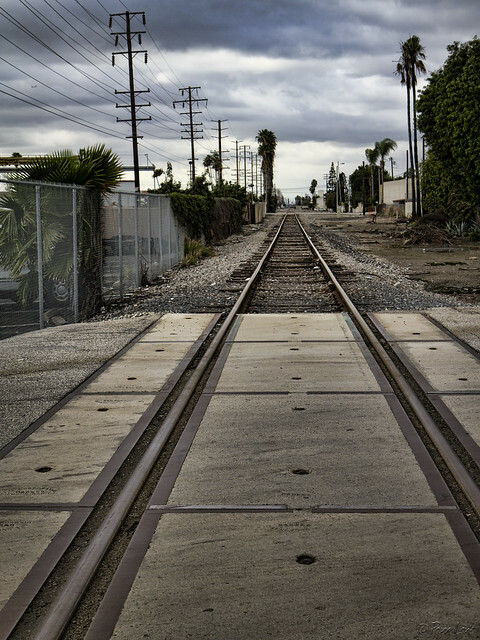 This railroad track, which follows Firestone Boulevard through Downey, is called the Los Nietos branch (a.k.a. the Patata Industrial Lead) and is owned by Union Pacific Railroad. The trains on this track carry freight, and the maximum speed allowed through Downey is 10 m.p.h. Maybe that's why it seems to take so long when you get stuck waiting for a train to pass at one of its twelve railroad crossings in Downey.